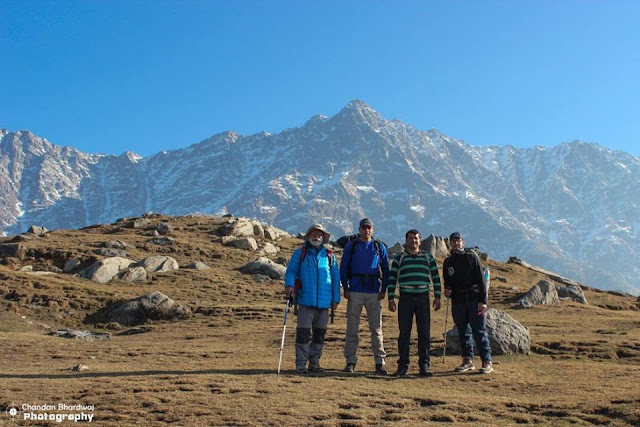 "Heaven is really not far, just steps away"
This famous quote seems very true when you visit the exposed ridge of Dhauladhar range in Himalayas. Towering high above the town of McLeodganj where Dalai Lama resides there are many ridges that form part of the main ridge of Dhauladhar range, But Triund ridge is one of the easiest accessible and well maintained trail that gives spectacular views of Kangra valley on one side and snow covered passes on the other side. On a clear night one can see millions of stars forming many constellations. 1-2 Litres of water + One Litre if you plan to stay overnight. (No water source enroute) A Bisleri mineral bottle can cost over 40/- to 60/- depending on the demand & supply. No sleeping gear required as there are plenty of options available such as Renting room/ tent. A tent can easily be negotiated for 500 INR whereas a room for 1000-1500 depending on season. 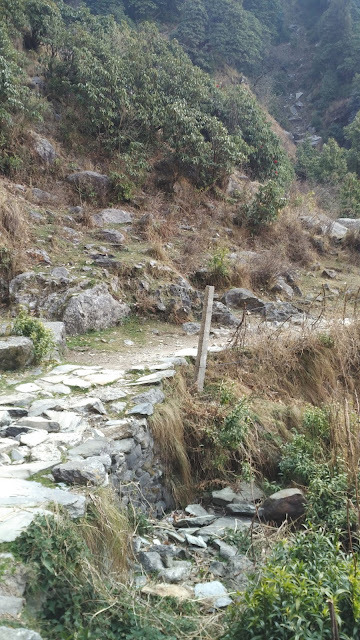 The trek begins from Galu devi temple located above very famous crazy village Dharamkot. The six Kilometer track is rated as an easy to moderate. T-2 on Swiss alpine club scale (SAC). 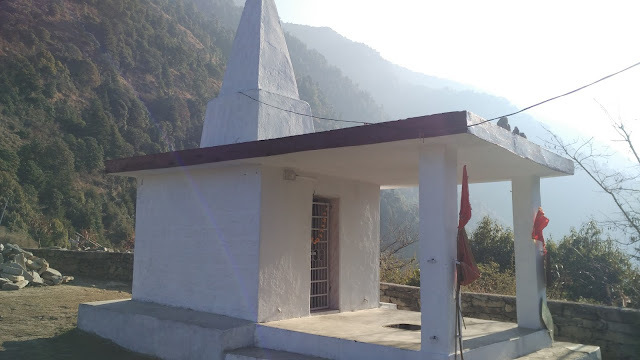 The temple provides clear views of Kareri village at West and Dharamkot at East. 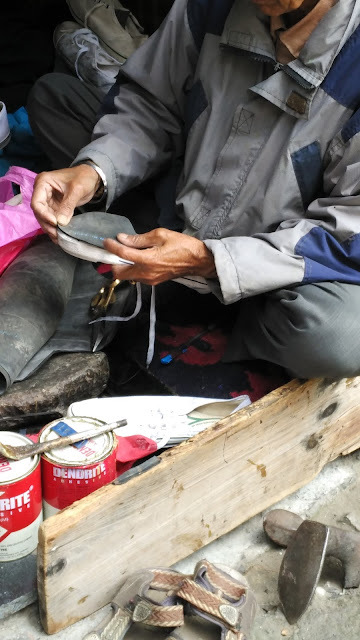 The route to triund is very well marked with a shop/tea stall after every kilometer. Though it is an easy trail, we still recommend use of hiking poles to avoid knee jerks on uneven trail or slippery patches. 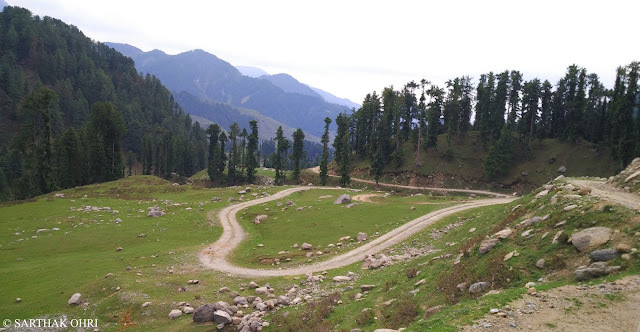 The route for first 4.5 km are gentle up's and downs and the last 1.5 km popularly known as 21 curves can be tiring yet wonderful experience. 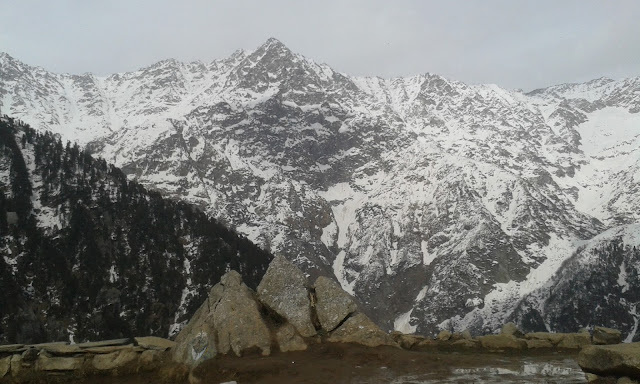 In winters Triund ridge receives heavy snowfall forcing shopkeepers to descend. Though route opens within a week and serves as a ideal winter trek for beginners as well. It takes 2.5 to 3 hours to reach up the Triund ridge to cherish those wonderful views. When you visit on a weekend, the first thing you should do is to secure a room/tent for yourself and if it's winters then getting a room is everyone's priority. 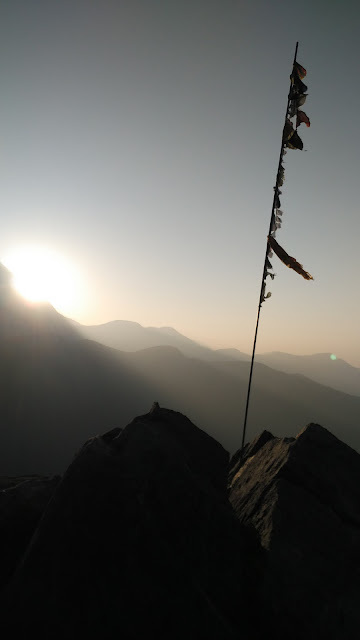 Triund being a famous trek destination is heavily crowded at weekends especially in summers which further results in a lot of garbage accumulation which the people never care to bring back down. 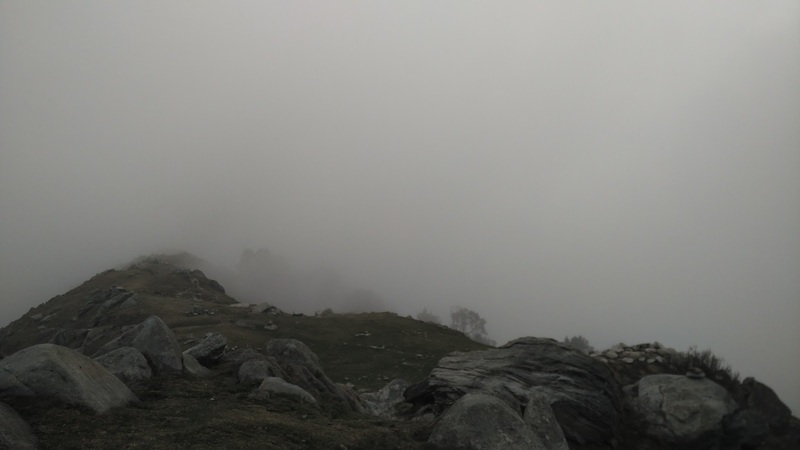 Triund usually turns cloudy within minutes without a warning and the White-out can last even for hours. 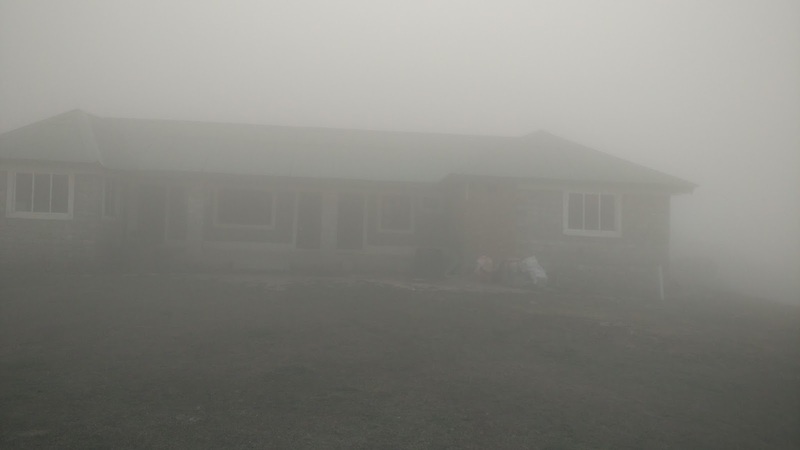 There are some Rest houses constructed over past some years and one of them being a Forest guest house can be booked at Dharamshala Forest Office. Others being private serve you on first come first serve basis. The one I prefer is located on southernmost point of ridge named as 'Mountain Lodge', Contact them - +91 9418021679, +91 9736345075. There are over 6-7 dhabas (Tea shops) serving basic meals such as Rice with lentils, Maggie noodles, Chocolates, Bread Omelette and water. 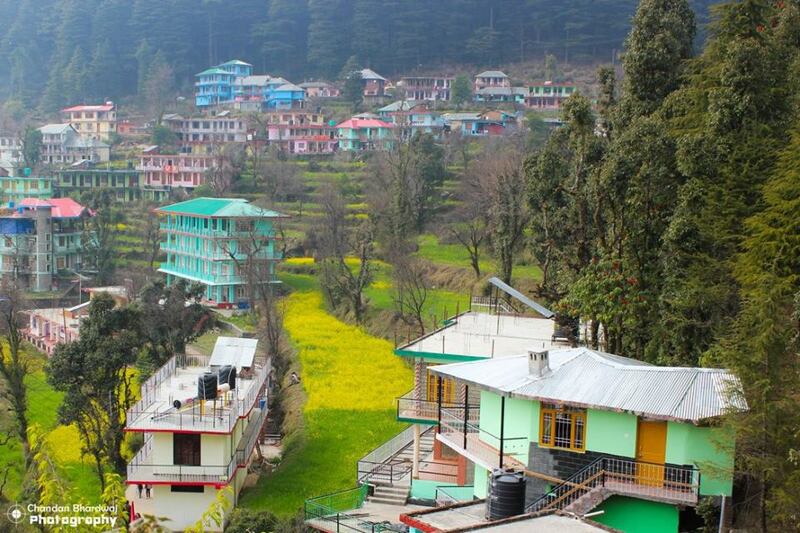 These dhabas and private operators may pitch a tent for you. 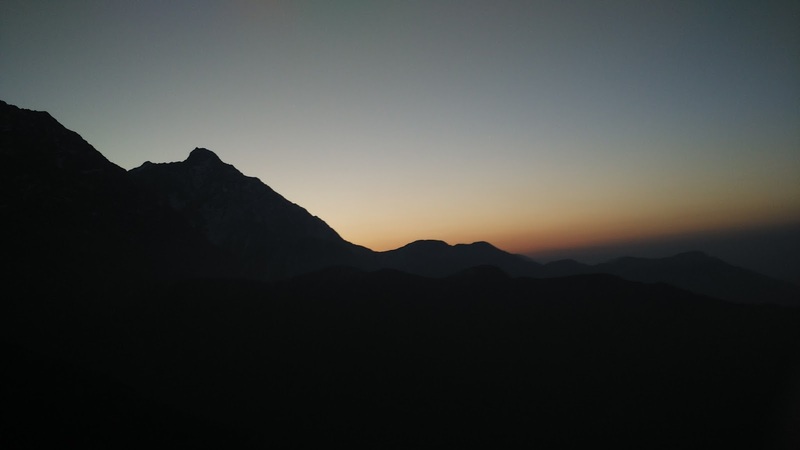 There are also few small caves to camp overnight if you are feeling bit more adventurous, but make sure you carry the right gear to survive a cold night. Late in the evening 'Mountain Lodge' may also set up a bonfire for you if you tip the caretaker some extra bucks (For us he did it in free). 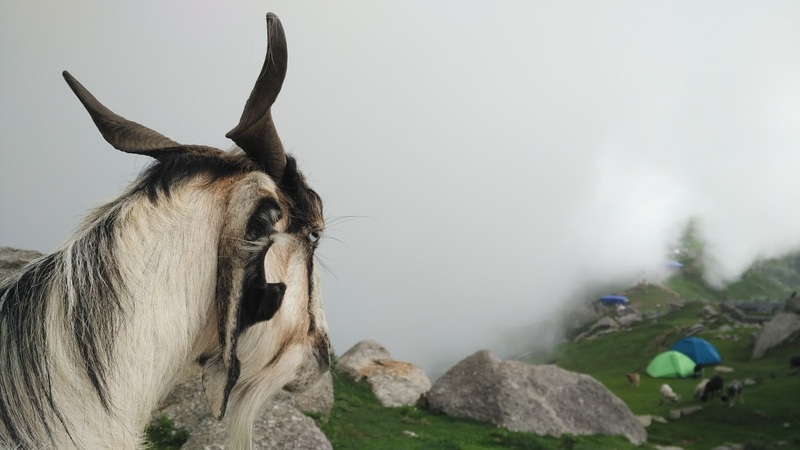 While if you choose to stay on the other side (North) of triund, you may find some boulders to sit and meditate in isolation. Though on a crowded day some group of friends may disturb you as they want to use the boulders for their photo sessions. But photography on such boulders can be risky affair. 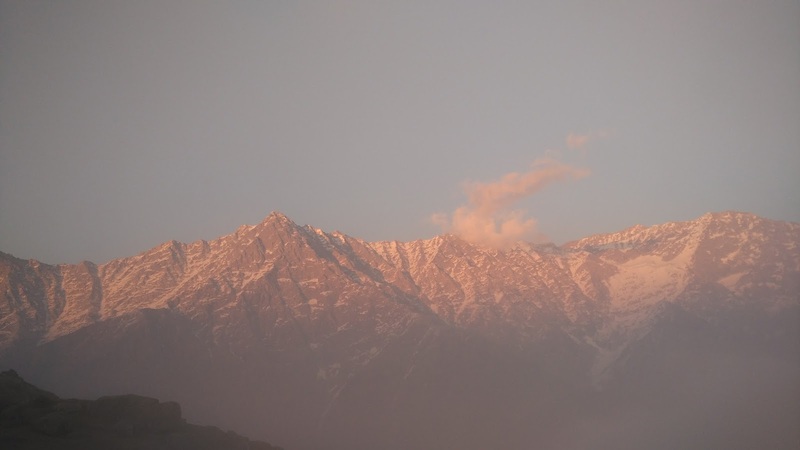 Triund is very well known for its sunrise Views and one should get up early to enjoy the first glimpse if sunlight. The best sunrise point is the southern part of ridge, exactly where' Mountain Lodge' is situated. 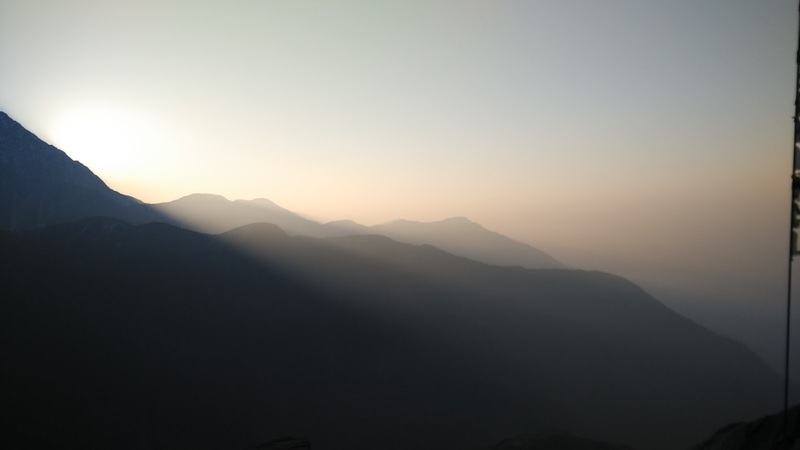 By the time sun sets out, whole population of triund comes at this point to cherish some calm and soothing sunrays. From Triund one can choose to return back same day or move to Snowline Cafe next day or even on same day depending on one's walking capacity (Snowline cafe is further 1.5-2 hours trek from Triund). There are also few small temples built on rocks by shepherds and locals to offer prayers en-route.